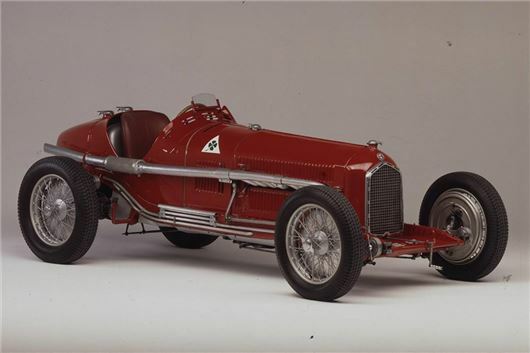 Alfa Romeo has an illustrious racing history and it is set to bring some of its greatest racing models to the 2014 Goodwood Festival of Speed, from as far back as 1933. Models set to appear include the 1933 Gran Premio Tipo B P3, the 1951 Gran Premio Tipo 159 Alfetta, the 1955 750 Competizione and the 1960 Giulietta SZ Coda Tronca. Alfa Romeo is also bringing its more recent performance models. The 4C will appear in the supercar paddock and is set to take to the hill, while the MiTo and Giulietta Quadrifoglio Verde models will make their UK debuts. The real highlights will be the old cars, though. The 1933 Gran Premio Tipo B P3 is the oldest car set to appear from Alfa Romeo. It’s powered by a straight eight made up of two four cylinder engine blocks and, despite its age, still has an impressive 212PS. Famous names associated with the P3 include Nuvolari Varzi and Caracciola. At the other end of the spectrum, for those who are more interested in modern classics, is the GTA 1300 Junior from 1971. Its tiny 1300cc twin-cam engine produces 170PS at a screaming 8200rpm, giving it a very distinctive sound. The Junior saw success in the European Touring Car Championship, beating off more powerful cars thanks to its light weight.